Project Manna (Southern Hills District), which serves the Union Local School District, has moved into one of Epworth Center‘s five cabins! Project Manna is thankful for the generous hospitality of the Bethesda United Methodist Church, which housed the pantry for many years. Because of the increase of neighbors coming to the pantry, there was a need for a larger space. 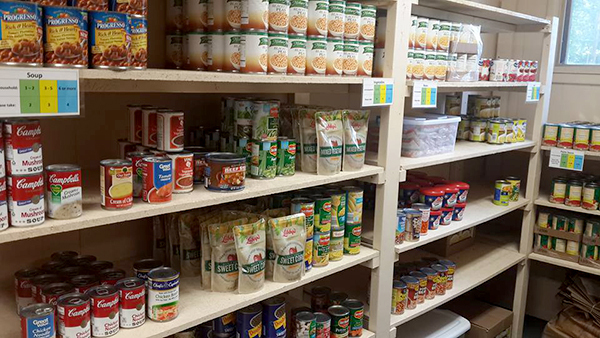 Just a few years ago, the pantry assisted about 15-20 households a month; those number are now averaging 45-50 per month. The move is also to benefit Project Manna’s neighbors. Since more retired folks are utilizing the pantry, there was a need to eliminate steps. The renovated cabin has an accessible ramp. Another reason for the move is the opportunity for Project Manna to become choice food pantry. Livingston shared, “In our work with Bridges Out of Poverty and ministry with our neighbors, it’s been laid on our hearts to become a choice food pantry. There are many reasons for this. It helps with the overall feel of Project Manna by providing our neighbors with a voice/choice. Many people who are struggling can feel they do not have a voice. We believe everyone should have a choice. Generous Donors: Belmont Savings Bank, Bethesda UMC, BBM Rotary, Buckeye Pest Management, District 6690 Rotary, East Ohio Conference Youth Service Fund, East Ohio UM Foundation, Riesbecks, Various anonymous donations, Village Hardware & Rental. SOWER Work Mission Teams & Others Who Worked on the Renovation: Calvary Presbyterian, St. C., Carrolton First UMC, OH, East Richland Christian School, East Richland Friends Church, First Presbyterian Church, MI, Little Blessing Makers, OH, Local Servant Volunteers, Sugar Grove UMC, OH, Tallmadge UMC, OH, Wacousta Community UMC, MI. Learn more about Epworth Center by visiting www.epworthcenter.org. 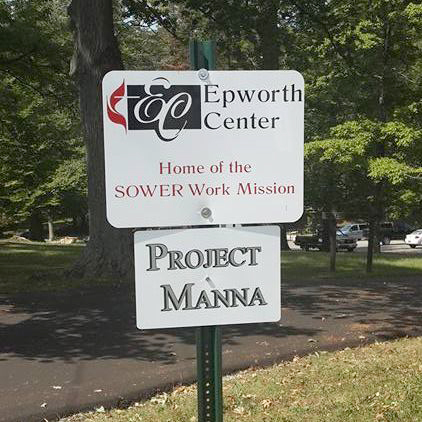 You can also like Epworth Center on Facebook at Project Manna Choice Food Pantry.